Zagara, the first Broodmother, commands a swarm of aggressive and suicidal Zerg that specializes in wiping out enemy forces nigh-instantaneously. With her brood of Banelings and Scourge, no enemy is safe from a quick, acidic death. Zagara is a very powerful commander for beginners as her playstyle is very straightforward and doesn’t require much game knowledge or mechanics to execute well. On the flipside, she has limited options for unit compositions in comparison to other commanders. Additionally, her 100 supply cap causes her to struggle in situations that require a lot of end-game power. High Burst Damage: When you need to kill something fast, Zagara is the perfect commander. She has the ability to finish fights or snipe objectives more quickly than any other commander. This is important for objective-based maps such as Rifts to Korhal, or to handle Mutations such as Propagators. Early Game Strength: Zagara the Hero Unit is very powerful in the early game. Both of her primary abilities, Baneling Barrage and Summon Hunter Killers are geared towards early game dominance. Poor Performance in Prolonged Engagements: Because Zagara primarily focuses on suicidal units, she does not possess any units that perform well in sustained combat - lunits such as Siege Tanks or Lurkers. Because of this, she often struggles with endless waves of units such as those found on Dead of Night or Miner Evacuation who will bleed her dry of resources. 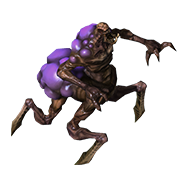 Similarly, she faces difficulties against mutators that produce extra units such as Walking Infested or Outbreak. Weak Late Game: As the game drags on, enemies become more powerful and more numerous. However, because Zagara mines at a constant rate throughout the course of the game and maxes out her army very early on, it doesn’t grow in strength proportionally to the challenges she faces. Therefore, her power level drops off more quickly than any other commander. This trait is exemplified even more in mutations where enemy forces require more firepower to deal with than normal, such as Avenger or Barrier. Although Zagara only has five real combat units, she has the flexibility to mix and match them in any way she prefers. Zagara is generally one of the easiest commanders to play, though there’s a lot of knowledge involved in unit choice. Scourge are clearly your anti-air option - Corruptors cannot match their destructive power, but they do have a niche versus large single-target objectives. The real decision, however, is in the ratios you mix and match Zerglings, Banelings, and Aberrations in your main army. At higher levels, this is one of the most difficult Zagara skills to master. Note: assume that all of these compositions include Scourge when needed. By default, this should be your primary composition against medium-sized enemy waves and bases. In the mid-game, you should use only Zerglings and Banelings. Morph enough Banelings to completely wipe out the enemy force, then use Zerglings to clean up. Add small numbers of Aberrations if you are facing Force Fields. Add Aberrations if you expect to face Hybrids. The more Hybrids you expect to face, the more Aberrations you should add in. Add Aberrations if you’re facing objectives that have lots of Area of Effect damage, such as on Void Thrashing or Rifts to Korhal. If you’re facing the Gateway composition (opens Zealot/Stalker), which features Psionic Storm, focus on Aberration production, going so far as to switch into mass Aberration. Mass Baneling + Scourge is your default armageddon force against extremely strong enemy bases or waves, used best for the last engagement you expect to face in the mission. This includes the last bases on Rifts to Korhal and Void Thrashing, as well as for the last Hybrid wave on Chain of Ascension. Aberration/Zergling if there’s a small but powerful number of enemies left. Mass Zergling if there’s almost no threatening enemy forces left. Again, add Scourge when necessary. Mass Aberration is Zagara’s best option for sustained fights, even though it’s not even a great option. For instance, this composition, paired with static defense, is her best choice on Miner Evacuation. In addition, mass Aberration is ideal against the Gateway enemy composition, a composition that Zagara tends to struggle against. For most missions, you should rely solely on Zagara the Hero unit until around eight minutes into the game. Until then, focus on getting your economy up, upgrading, and banking up on Banelings. Free Banelings have significantly better damage output later on, once the Corrosive Acid ability has been researched. Hatcheries are generally the superior choice over Queens when it comes to larvae. First, Queens cost supply, which is a scarce resource because of Zagara's lower supply cap. Meanwhile, Hatcheries provide supply. Secondly, Queens also take more attention to micro. But perhaps most importantly is that Hatcheries can be built near enemy objectives. This allows for a faster and more direct reinforcement path, which is often key in difficult fights. Corrosive Acid from the Baneling Nest is the most important upgrade for Zagara and thus should be prioritized over any other options - it significantly increases the damage of her free Banelings and Banelings morphed from Zerglings. If you are planning to spawn Scourges at all, the Simplified Genome research, which reduces Scourge gas cost, should be prioritized as well. Zagara’s Baneling Barrage ability will be wasted if there is any impassable terrain or Sentry Force Fields in the line of fire. While waiting for your units to morph, send Zagara ahead and weaken the enemy base defense using her spells. This allows her army to have an easier time engaging later on. Roach Drop should be saved for when you plan to assault a heavily-fortified base, but plan around using it as often as possible - it has a short cooldown of 3 minutes, so use it early and often. Even without vision, you can use it in an area with a high density of enemy units, allowing the spell to deal a lot of AoE damage, especially so with points in the Roach Drop mastery, as well as applying a short stun, before your Zerglings and Banelings rush in to support the attack. Also, if Sustained Frenzy is used right after the Roach Drop spell, the Roaches will be able to output a significant amount of damage. Bile Launchers are good at dealing with periodic, concentrated attack waves that arrive from predictable directions, especially in Temple of the Past, Mist Opportunities and Oblivion Express. However, they often fail to deal with an entire wave cleanly, even with the use of a few Spine/Spore Crawlers, and hence they should be supported by some units if possible, especially Zagara the hero. Group all your Bile Launchers on a hotkey and aim the biles slightly ahead of where you expect the enemy to be. While Zerg commanders should preferably be spreading creep on most maps in order to gain additional mobility, most of Zagara’s units are so fast that they do not benefit much from the movespeed bonus. Creep-spreading can be beneficial in some circumstances, especially for maps that require you to reposition quickly, but is not strictly mandatory. Overlords can be used to drop creep at certain areas - a useful feature if you want to build static defenses at far-away locations. Alternatively, position a forward hatchery tactically in order to benefit from its creep. Zagara is a strong early-game hero who excels at killing both enemy units and buildings. Zagara fires 6 Banelings at an enemy target. 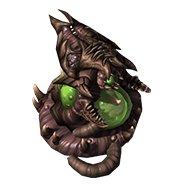 It’s important to note that Baneling Barrage benefits from the Corrosive Acid and Rupture upgrades as well as the Baneling damage mastery. At full upgrades, Baneling Barrage will deal 430/(660 vs structure) damage to a single target. The splash from Baneling Barrage is often wide enough that you can destroy multiple enemy structures and static defenses if you aim the max range of the Baneling Barrage between them. Summoning Hunter Killers is Zagara’s primary form of damage output throughout the early game. Since Zagara has higher damage priority than her Hunter Killers, she often draws aggro from nearby enemies, leaving the Hunter Killers in relative safety. As a result, they can often reach 100% of their potential damage output. In the early and mid-game, it’s possible to forgo Scourge altogether, relying only on Zagara and her Hunter Killers as your anti-air. Be wary that if the enemy is an air-heavy composition, you will need Scourge regardless. All friendly units on the map gain 25% attack and 25% movement speed for 15 seconds. Has a cooldown of 2 minutes. Use this in every major engagement as well as directly after you use your Infested Drop. Summons 10 drop pods at the targeted area, each containing a Roach - two Roaches at Zagara level 10 -,each drop pod dealing 50(80 with mastery) damage on impact in a small area. Though this is certainly not the strongest ultimate ability in the game, it provides a good meat shield and distraction for all your other units to take advantage of in a large engagement. Can be dropped over the fog of war. As with Kerrigan’s Queens, the purpose of Zagara’s Queens is to Inject and spread Creep. 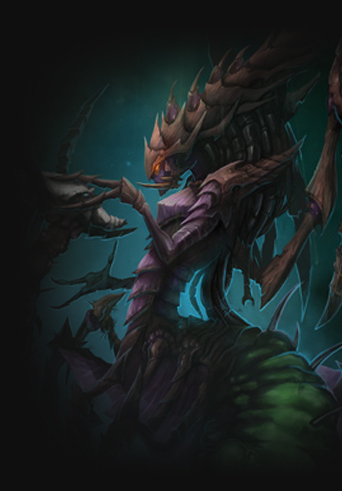 Though Zagara’s Queen’s Injections are more effective than those of Kerrigan’s (spawning eight larvae instead of four), simply building additional Hatcheries are still recommended in place of Queens for multiple reasons as listed in the General Tips section of this guide. However, Queens are a good choice on maps that don’t benefit from having access to a forward Hatchery, such as on Dead of Night. Zerglings are the cheap basic units of Zagara. 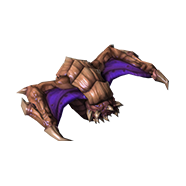 As with all other variants of Zerglings, they are capable of dealing a lot of damage very quickly but have a very short life expectancy, being especially vulnerable to area of effect damage. Zerglings should mostly be used to clean up after the bulk of enemy forces have been destroyed. Avoid engaging in direct combat without support from Banelings as much as possible. 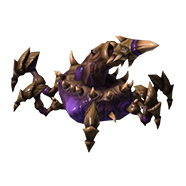 Banelings are the cornerstone of your army; when any enemy ground force is too powerful for Zagara alone, Banelings should be utilized to either soften up- or completely obliterate that force. However, Banelings are a poor choice for situations where you need to fight for a longer period of time and for cleaning up structures. Aberrations are your best anti-ground unit of choice for dealing with sustained combat situations. This includes combat against mass Infested or enemy bases that are defended by Hybrid Behemoths or Dominators. In addition, their massive unit tag allows them to crush Force Fields, so a few Aberrations are a welcome addition against any Protoss compositions that contain Sentries, which are otherwise a major problem for Zerglings and Banelings alone. Note that the armor upgrade for Aberrations is not very useful. While 2 armor sounds like a significant amount of armor, in practice the few units standing underneath Aberrations will be dying to splash damage and spell damage rather than to individual physical attacks. Scourge are your best anti-air option, plain and simple. Corruptors don’t get close to matching the power of Scourge. Note that attack upgrades for Scourge are not as useful as they are for most other units. Scourge gain a 4.5% increase in attack for each researched upgrade, compared to 10% for most other units. Corruptors are absolutely atrocious as a combat unit when pitted against enemy air units due to their low damage output and lack of upgrades. That being said, their usefulness comes not from their anti-air ability, but their Corruption ability, which increases damage dealt to any unit afflicted by Corruption by 20%. This means that a single Corruptor can be useful against objectives like the Pirate Ship on Rifts to Korhal or Void Thrashers on Void Thrashing. Standard detection for Zagara. It’s recommended to both follow a few Overseers onto Zagara herself as well as put them in a control group with your main army. It is advisable to upgrade Pneumatized Carapace (Overlord Speed) so that they can keep up with the rest of your army. Spine Crawlers are one of Zagara’s most consistent forms of defense against endless swarms of units. Unlike Kerrigan, Zagara does not possess defensive tools such as Lurkers, Omega Worms, or Brood Lords - she has to be content with the Spine Crawler. This is certainly not the strongest form of defense in the game and Zagara should rely on her Hero Unit or ally for defense whenever possible. 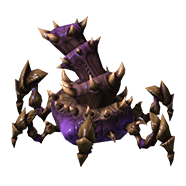 Having bonus damage against biological air units, Spore Crawlers are very good at defending against Zerg air units, something that comes in especially handy on Temple of the Past versus Scourge. Spore Crawlers can also be used as detection at strategic points. Also decent for camping the Shuttle Launch Bays on Void Launch. Bile Launchers have an ability that deals 75 damage in a large AoE, castable from a long range but with a slow projectile speed. This is most useful when defending fixed positions from large waves, such as what you often have to do on Temple of the Past. However, it’s less useful against the endless assault of Infested on Dead of Night or Miner Evacuation, or for small trickles of units. Enemies such as Hybrid that have high HP also won’t be stopped by Bile Launchers alone. The following build is recommended on maps where your natural is blocked by Rocks. For all other maps, refer to the map-specific section and the attached replays. Your early-game build should aim to strike a balance between maximizing the number of free Banelings you spawn from your Baneling Nest and the strength of your economy. Building the Baneling Nest as quickly as possible should always be your first focus. Zagara relies on her spells in the early game, so Life and Energy Regeneration is certainly the optimal choice here. Top level Zagara players will generally keep Zagara’s energy close to 0 for most of the game - If this doesn’t match your experiences, you can practice utilizing all of Zagara’s energy. Additionally, Zagara has some issues with her personal survivability, especially before she gets her Heroic Fortitude upgrade, so the life regeneration aspect of the first mastery choice is welcomed as well. On the other hand, only the main attack of Zagara benefits from the increased Attack Damage - the split attacks of her Medusa Blades does not receive any benefit. Coupled with her slow attack speed, most of the damage dealt by Zagara comes from her spells and not her normal attacks, making this mastery a weaker choice - use it only if you don’t expect to be able to micromanage Zagara’s abilities. Zerglings don’t benefit much from Evasion as they’ll mostly be dying to AoE spells and attacks. Meanwhile, Banelings are a core unit of Zagara’s playstyle. Baneling Attack Damage is the clear choice here. It is also worth mentioning that Baneling Attack Damage also increases the damage of Zagara’s Baneling Barrage. Zagara’s Infested Drop is generally a poor ultimate ability without the Roach Mastery, which significantly increases the amount of damage they can sustain when used separately from your main army, as well as giving them increased damage-output. On the other hand, to get the most out of the Sustained Frenzy Mastery, you would need to coordinate with your ally to some extent, which is usually too much to ask for in most games. Default to the Infested Drop Mastery unless you have a very good reason for picking Sustained Frenzy. Zagara’s Mass Frenzy greatly increases the effectiveness of Raynor’s units more than she does any other commander. At the same time, Raynor’s Hyperion buffs Zagara’s Zerglings more than any other unit in the game. Zagara’s Baneling and Scourges help to decimate most of the threatening units in a heavily-fortified base, before Raynor’s high-dps biological army takes over to clear up the remnants. Zagara’s Queens can Inject Kerrigan’s Hatcheries more efficiently than Kerrigan’s own Queens. Zagara benefits somewhat from Kerrigan’s Malignant Creep. Zagara’s Zerglings benefit greatly from Guardian Shell, but Banelings and Scourge do not receive the protection of Guardian Shell. 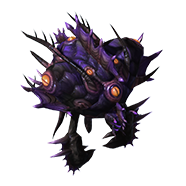 However, Banelings and Scourge do receive shields from Shield Overcharge, ensuring that these suicidal units will hit their mark. Zagara’s Baneling Nest will also produce Banelings faster when Chrono Boosted, allowing Zagara far greater aggression than normal. While Zagara has a strong early game to cover for Swann’s long ramp-up time, Swann has a formidable mid- to late-game army and can carry the game once Zagara’s effectiveness starts to taper off. Zagara’s early agression allows Vorazun to safely reach a critical mass of units faster. Vorazun should be able to take over in the late-game as Zagara becomes less effective. Timestop can keep Zagara relevant in the late-game as Zagara will not lose units during Time Stop. Karax’s Unity Barrier offers Zagara a lot of extra survivability. His chrono abilities also increase the production of Banelings. In addition, Karax can typically handle defense while Zagara handles offense. While there’s little direct synergy, Zagara’s strong early game helps to cover for Abathur before he can ramp up his army, and her aggression provides more biomass for his first few Brutalisks & Leviathans. Abathur shines in the late-game while Zagara carries the early game. Zagara’s overwhelming number of units increases the power of Alarak’s Empower Me. Nova’s Defensive Drone can increase the survivability of Zagara’s usually fragile units. Stukov’s Infested overlap a lot with Zagara’s units. The bulk of their units tend to be melee, which does not make for a great partnership. That being said, Stukov’s Infested Bunkers can provide excellent defense for Zagara, who is weak defensively. Zagara’s excellent anti-air can make up for Fenix’ subpar anti-air. Fenix’ Mass Recall can be useful to Zagara at times, but Zagara’s army already moves about the map fairly quickly. Dehaka is a strong late-game commander who can benefit from Zagara’s early aggression, providing more Essence for his hero to level up quickly. Zagara can handle most of the early game herself, so bank up on Banelings for the later stages of the game, especially as a measure to deal with the tough second wave and the first Hybrid spawn. You won’t need any Scourge for the air units in the second base along Ji’nara’s path. Zagara’s Hunter Killers should be able to take care of them easily. Banelings and Scourge deal very well with the Hybrid spawns. If you are facing Colossi as part of the enemy composition, morph a few Scourge every time you re-max in order to take the Colossi out quickly. uild a single Corruptor in order to apply the Corruption effect to the Slayn Elementals before you send Scourge to take them out. Be mindful of Chokers as they have the ability to disable Zagara. Always send Hunter Killers ahead of Zagara if Chokers are a possibility. Zagara is the worst commander in the game at defending on Dead of Night. Try to end the game early or ask your ally for help with defense. Unlike other maps where we recommend more Hatcheries for production, we recommend Queens and Inject Larvae here. As you spawn in the center of the map, forward Hatcheries are less useful. 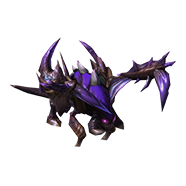 In addition, Queens can be used to Transfuse your static defenses as well as spread creep around the base for Zagara to travel around quickly. Spine Crawlers supported by Queens are your best bet for a defense on Night 2. Bile Launchers might be tempting, but they falter against Aberrations that simply have too much HP to be stopped by bombardment from the expensive Bile Launchers. During Night 3 and beyond, they’re more viable but still underwhelming. You can skip a Scourge Nest altogether here as there aren’t enough enemy air units on the map to justify Scourge. Try to conserve your energy on Night 1 in order to spend it on Day 2. Use Spawn Hunter Killers whenever it is available, but skimp on Baneling Barrage. Use Zagara and your Banelings to clear defenses during the Day. Follow up with Zerglings behind them to clean up buildings. You should ideally be morphing Zerglings only, rallying them towards the Infested structures. You don’t necessarily need an Overseer for pushing during the Day. Watch for signs of hidden Lurkers or Dark Templar using Zagara’s Baneling Barrage to quickly kill them before they wipe out your army. When facing Terrans, Banshees and Ghosts will only cloak from 12 minutes onwards, starting on Day 3. Burrow a Zergling at each Lock in order to capture it and to prevent stray enemy units from recapturing it. Zagara can get worn down by constant enemy reinforcements if you take too long on this mission, so it’s best to try to finish it as early as possible. Be aggressive with Zagara the Hero. Send her to cast Baneling Barrage and Hunter Killers to chip away at enemy defenses whenever you can. The Xel’naga Construct deals significant AoE damage, and will kill your Zerglings easily. Use Aberrations, Banelings or Scourge instead. You can expand using your first four Banelings along with 12-18 Zerglings. Aberrations should be a core unit in your anti-ground army. They are good at handling the constant smaller fights you’ll have to engage in and provide a good source of damage against Suppression Towers. Scourge can technically suicide into Suppression Towers, but you should try to avoid using suicide units just to clear Suppression Towers. Building forward Hatcheries will significantly reduce the time it takes for reinforcements to reach Aurana. Having forward Hatcheries already in place is recommended for dealing with the third and fourth Security Terminals. 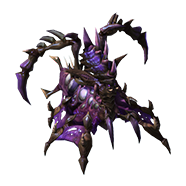 Aberrations should be your unit of choice on this mission as both Zerglings and Banelings are too frail for sustained combat. Zerglings are useless here - don’t even bother upgrading them. Zagara can defend the first Evacuation Ship by herself with the help of a few Aberrations. She can defend the second Evacuation Ship with slightly more Aberrations. For Evacuation Ships 3-5, set up Hatcheries, Spines, Spores, and Bile Launchers on-site in order to help with defense if your ally is not very strong defensively. You should not attempt to solo any of these Evacuation Ships purely with your army units, as Zagara lacks sustained defensive strength. Burrow your free Banelings near the Evacuation Ships, then Unburrow them should you need reinforcements. Have an Overseer follow Zagara from Evacuation Ship 2 and onwards in order to defend against cloaked Banshees. 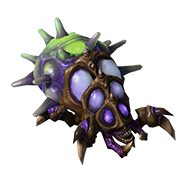 Banelings are the most effective way to kill both Blightbringer and the Eradicators, possibly in combination with Infested Drop - as the Bonuses deal massive AoE damage, Aberrations and Zerglings will suffer heavy casualties when attacking them, so you should avoid this if possible. If your ally can clear either of the bonuses more efficiently than you can, you should instead save your Banelings for defending Evacuation Ships. Rally your free Banelings to the expansion in order to have an easier time defending against enemy attack waves. Morph a few Scourge or Spore Crawlers against enemy air compositions. After you clear the middle of the map, build Hatcheries there in order to quickly reinforce your army. Because the waves on this map are so numerous, Bile Launchers are a good option for defending choke points. Morph a few near your forward Hatcheries in the middle of the map; this allows you to handle enemy waves that are too far from your main army. 6-10 Bile Launchers should be sufficient - supplement with additional Spore- or Spine Crawlers if necessary. While waiting for enemy waves to spawn, morph your Zerglings into Banelings. Banelings and Scourge deal with enemy waves much faster, which affords you additional leeway in setting up for the next wave. Replace your dead units with Zerglings or Scourge as soon as possible. Clear out as many of the Train defenders as possible with Zagara before you engage the Train with your Zerglings and Aberrations. Save your free Banelings for the more difficult Trains such as the double Train waves. Don’t run your Banelings into Trains; it’s never worth it. A somewhat risky strategy involves setting up forward Hatcheries and static defense in the large open area between the top and bottom Train tracks. Set up around 10 Bile Launchers and position them such that they can hit both the top and bottom tracks at the same time. This allows you to bombard the Train escorts very efficiently, as well as conserve your army of Zerglings and Aberrations for their sustained damage against the Trains. However, this base is at great risk from both stray units and the Train escorts if you are not careful. If you commit to this strategy, be ready to manage the defense of this outpost. Another possible location for setting up Bile Launchers is just to the left of the main base, above the cliffs. This is a much safer location for your defenses, but it means that you can only engage the Train escorts at a later timing. If you are not using Bile Launchers to clear out the Train escorts, try to engage them early on in order to give yourself additional time to re-max on Zerglings and destroy the Trains. The first wave can be taken care of with your free Banelings if you build your Baneling Nest quickly enough. Alternatively, there are a few delaying tactics you can use to stall out this first wave until Zagara spawns. These include tanking damage with buildings or kiting melee units with your Banelings or a drone. After you clear the second set of Void Shards, set up four forward Hatcheries to the top-left of this area for reinforcements. If your partner is in on the plan, try to refrain from destroying each set of Void Shards immediately. Doing so prevents the next set of Void Shards from spawning, thus allowing you to clear out that base without having to worry about their AoE attacks - they can deal massive damage to your Zerglings and Banelings. Use a Corruptor for the Corruption damage bonus before suiciding Scourge into each Pirate Ship. The initial force you send to assault the final base should consist mostly of Banelings and Scourge, in conjunction with Infested Drop and Mass Frenzy. Your following re-max should mainly consist of Zerglings and Scourge. You can cheese the mission by using Scourge to snipe each Void Shard. For regular missions, this is not very practical due to the number of Scourge you will need to produce in order to pull this tactic off, but all the same this is a useful strategy to keep in mind for difficult mutations. The third to fifth Void Slivers have a significant amount of defenses and Zagara will struggle to kill them all in a prolonged fight with Void Rifts constantly bringing in new units. Therefore you’ll want as many Banelings and Scourge as possible for each fight in order to end them decisively before the Void Rifts and Void Sliver abilities can kick in. A Baneling Barrage can instantly destroy a Void Rift or Death Grip Crystal. An army of mass Banelings or Scourge can suicide directly into any Void Sliver, instantaneously killing it. The final Void Sliver on the top-left corner of the map can most efficiently be destroyed by an entire army of Scourge. Position your Scourge on the outskirts of the map before suiciding all of them into the Void Sliver at once. This allows you to bypass all the base defenses along the way. You’ll need all of your non-drone supply available to pull this off, so make sure you don’t have any leftover Zerglings or Aberrations if you’re planning to end the game in this manner. Zagara has a hard time defending against the frequent attack waves past 20 minutes into the game. Try not to delay the mission unnecessarily. Temple of the Past is a prime map for Bile Launcher usage. It’s possible to opt for a fully defensive Zagara build on this map with Spines, Spores and Bile Launchers at each of the four Temple entrances you’re tasked with defending. If you set up Bile Launchers in the corners between two ramps, they are able to intercept enemy attack waves coming from both lanes. However, do not leave them defenseless as they can easily be destroyed by any tough enemies such as Hybrid who survive the bombardment. Have a few Scourge ready in time for the attacks from the top-right lane, so that the incoming transports and air Hybrid can be destroyed before they can land. It is useful to spread creep around the Temple, providing Zagara with additional movespeed in order to get around fast as well as allowing you to set up static defenses. Don’t be afraid to spend resources on Banelings/Scourge against every attack wave; you can afford it. Consider building Bile Launchers to defend your expansion, as all enemy waves will head there after about 10 minutes into the game. The units defending each Xenon Crystal can be handled by Zagara alone, while the rest of your army continues pushing into enemy bases. The Molten Salamander possesses an AoE fire attack that will rapidly kill your Zerglings. It is best to use Banelings, Scourge or Zagara’s abilities to take it out. If you can predict where enemy waves will spawn, you can park Banelings and Scourge over these spawn points. Pushing into the enemy base and taking a third expansion allows Zagara to keep up with Baneling and Scourge production in order easily destroy every wave. This can be accomplished by by casting Zagara’s Infested Drop at the right choke point at 10 minutes into the game just as two attack waves spawn at this location, and thereafter send your ground army to clear the base. Zagara’s Hunter Killers plus Mass Frenzy is sufficient for the first Shuttle wave. However, you will most likely need Scourge for all subsequent waves. As you morph the Scourge, rally them towards the Warp Conduit that the next set of Shuttles are headed towards. Prioritize the Scourge gas cost reduction upgrade. You will need lots of Scourge on this map. Control your Scourge and the rest of army separately. In sufficient numbers, Scourge can take down enemy Shuttles and their escorts all on their own, while the rest of your army continues pushing or defends against attack waves. Spore Crawlers are an excellent mineral dump in this mission, especially when placed around the Shuttle Launch Bays and Warp Conduits. Build forward Hatcheries in front of the central Warp Conduit in order to generate Creep and reinforce your troops directly in battle. If the last wave becomes overwhelming, use your Scourge to avoid enemy units and snipe the Shuttles. After you clear the first Void Thrasher, forward 2-4 Hatcheries in the middle of the map. This offers a prime reinforcement location to easily reach every possible base. Aberrations are generally more effective at killing Void Thrashers than Zerglings as they are more resilient to the Void Thrashers’ AoE attacks. Bring a few Aberrations when you assault each base. There’s no need for Scourge until the very final base as Hunter Killers are sufficient anti-air. The third and fourth sets of Void Thrashers should be assaulted with Infested Drop before you commit your troops. Your initial force that assaults the final base should consist of mostly Banelings and Scourge. The following re-max should consist of Zerglings and Scourge. If you’re facing enemy Zerg, it is worth being aware that there are many Lurkers on this map that may give you trouble. Try to clear them out using the AoE portion of Infested Drop, Banelings & Baneling Barrage, and Aberrations before you commit Zerglings. One more benefit to Zagara + Kerrigan (if the Kerrigan ally is decent) is that Omega Worms greatly reduce Zagara's reinforcement distance. What are your thoughts on pure scourge suiciding into objectives on Rifts to Korhal and Void Thrashing? Get scourge only, kill the objectives from the sides without having to clear the main paths. You can get some corruptors/overlords to absorb damage and corrupt the shards/thrashers. Use roach drop to finish off low hp shards/thrashers. Mass Frenzy can help the scourge get to the shards/thrashers quicker. Difficult to use when there are enemy vipers and storming hybrids. Very powerful when used with Artanis' shield overcharge or Vorazun's time stop. On a separate note, do you ever get queens on maps with rocks? Do hatcheries produce enough larvae on their own without injects? Coop for me is casual entertainment, where I take a break away from ladder so I'm too lazy to inject. 6 hatcheries are enough 99% of the time. I really enjoy this whole series giving me different ways to play commanders that just never occurred to me. It has been bringing a lot more diversity to games. I like Zagara, though it was a pain to play her on last week's mutation, with the blizzards everywhere on the map. Some mutations like that just hard counters her full stop. It was pretty easy, actually. Just scourge the ships when they come, dodging blizzards. Stay at home when they arent coming. Yeah, that is what I tried, but it didn't work. Lots of scourges didn't make it to the ships, when there was nothing else for the enemies to shoot at. To be fair, I didn't try it with random partners after failing the first couple of times. You can make 1-2 corruptors or send a bunch of overlords together as fodder. Good to remember for the next void launch mutation. 30% regeneration is too small of a buff to matter. Instead of 100 life you regenerate 130. That nothing. Yes it helps with mana but that is also very minor regen buff. You give up 30 damage per attack on this. - Corruptors now do good anti-armored DPS, move faster and they spawn 2 scourges upon death. 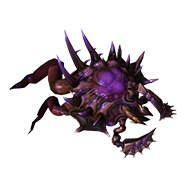 - Bile Throwers will now spam their AOE attack on a chosen location which makes them good in defense missions/infested. - Overlords are much faster and will safely eject your troops even if they die. - Most of her units got either an ability rework or better scaling from upgrades or masteries. Corruptors seem to be actually good now especially if there are air-attackable objectives like void shards.